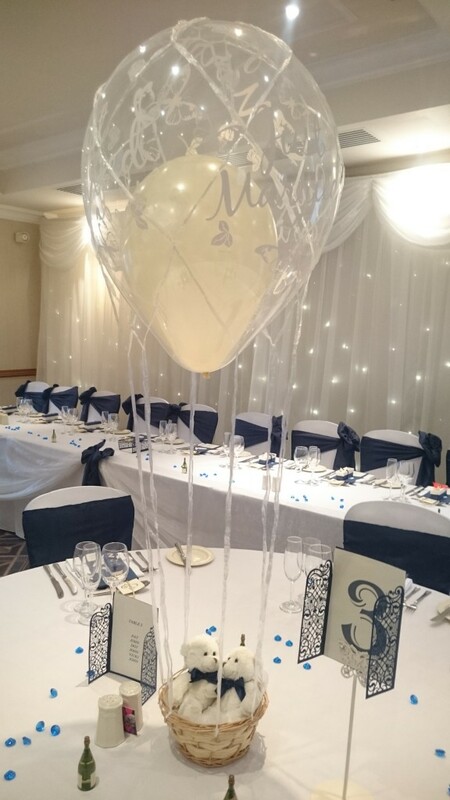 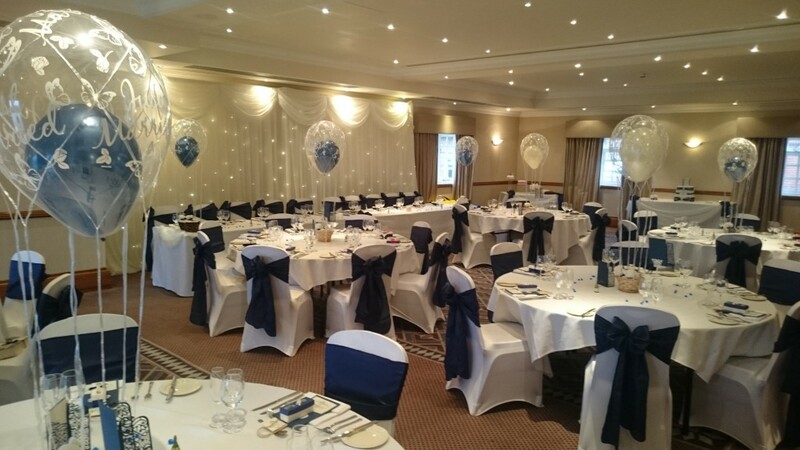 Table Balloon Displays at the Windmill Village Hotel. 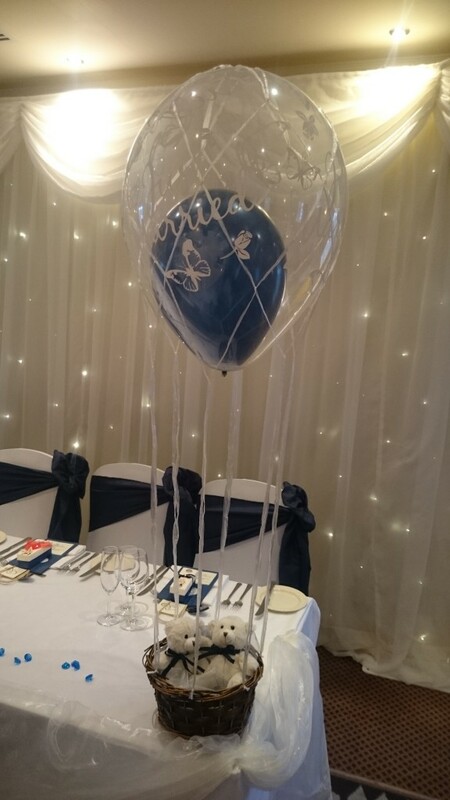 The surprise theme for the groom was hot air balloons as he has a passion for them. 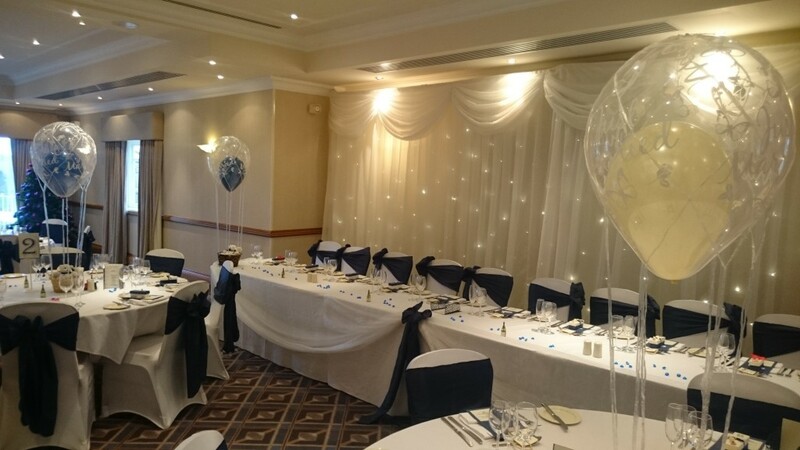 Chris Boileau & Terri Salter wedding at the Windmill Village Hotel.